We know we are getting a little ahead of ourselves and that March 1st isn't until tomorrow, but since we had a gloomy, rainy day yesterday, we wanted to look forward to spring and that means we're sharing our March book club a day early this time around! First up for the month was a book I actually started in January - The Assistants by Camille Perri - but couldn't finish because I was too busy binge watching a few new shows. I was also having a hard time originally getting into it. Once I took a break from it and came back to it, I actually really thought it was a fun book. 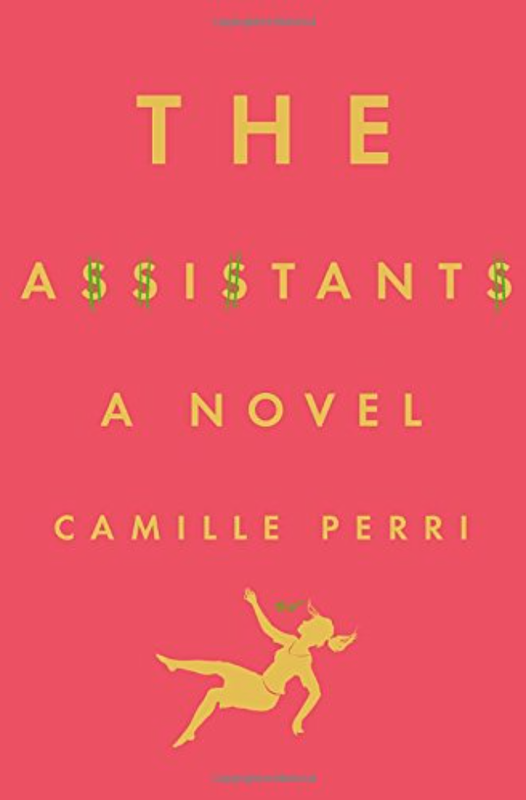 The Assistants follows Tina who accidentally receives a check for a work expense. Instead of tearing it up and reporting the clerical error she wonder what she could do with the money instead? Would anyone miss it? She dreams of how it could help her and ultimately how it would be life changing. It is interesting to see what choices Tina makes, what happens to the money, and ultimately learn who comes out ahead. The characters are fun, and I'm not sure you love with Tina until closer to the end of the novel, but it's a good quick read. It took me awhile to grab a new book. After being "sucked into" It Ends With Us last month, I realized I missed that feeling. Everything I picked up seemed boring, and I just couldn't get into it. 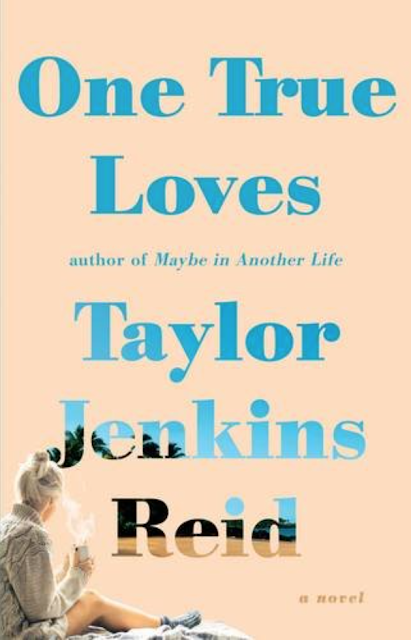 We put a few feelers out on social media and someone on our Twitter suggested One True Loves by Taylor Jenkins. After reading the plot and the reviews I was intrigued. After about a 1/3 of the way in I texted Carrie Beth and told her to download it for her trip. I was instantly drawn into the story! The novel follows Emma after she lost the love of her life in a tragic helicopter accident. You learn how she falls in love, looses this person, recovers, and falls in love again. However, what Emma isn't expecting in her life is for the person that has been lost for years to suddenly reappear. I agreed with the reviews that said this novel reminded me of the movie Cast Away, but from the wife's perspective instead of the Tom Hank's character trapped on the island. The novel had a few slow parts, but ultimately I couldn't put it down and wanted to see what love Emma would choose in the end. If you enjoy love stories with a twist I would recommend placing One True Loves in your "to read" pile, and I will definitely be grabbing a few more of Reid's novels to read in the future. Seriously, I totally picked this book up because it cover looked so good. 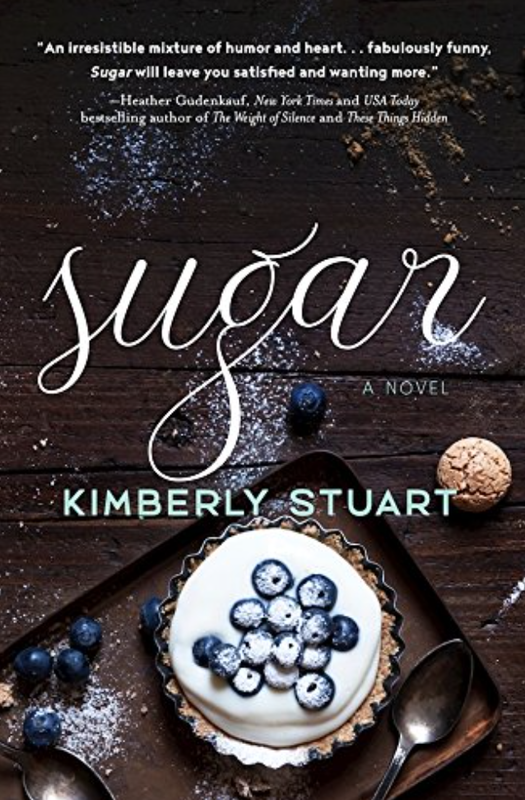 Then I read what Sugar by Kimberly Stuart was about and was simultaneously intrigued as well as hungry. I packed this book for my Winter Break trip, and it was just what I was looking for in a car ride read. Sugar follows pastry chef Charlie Garrett on her rise to the top of the restaurant industry. Mix in a little reality TV, a little romance, and a lot of yummy food references, and it was the perfect light read for a road trip. I loved Stuart's witty style of writing and will definitely be looking for more novels from her in the future. I had been holding onto this book for a while and was waiting to take some trips to read it. I mentioned last month that I started reading on the Nook app again and it really has helped me read more frequently. However, because I knew I'd be taking a few trips this past month I wanted a hard copy book I could take on the plane with me and not have to worry about the charge running out on my iPad or phone. 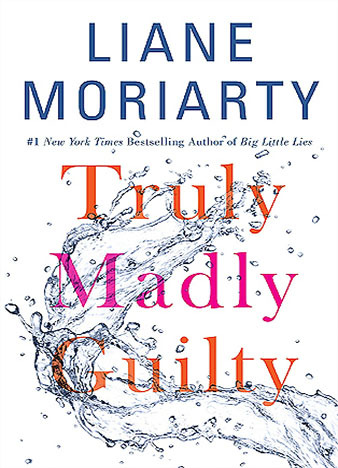 It took me a little while to get into Truly Madly Guilty at first, but that is a pretty common things for me. It was annoying me a little that all the characters kept referring to this big event that happened, yet Moriarty took her time finally revealing what that was. However, once I figured out what it was, I was hooked. Chapters jump between 6 characters, 3 couples, and also jump back and forth between present day and the events that took place on a normal day at a normal backyard barbecue. It was good, but not great, in my opinion, but I'm not giving up on Moriarty just yet! I plan to start March off reading a new novel by one of my favorite fun authors, Sophie Kinsella. 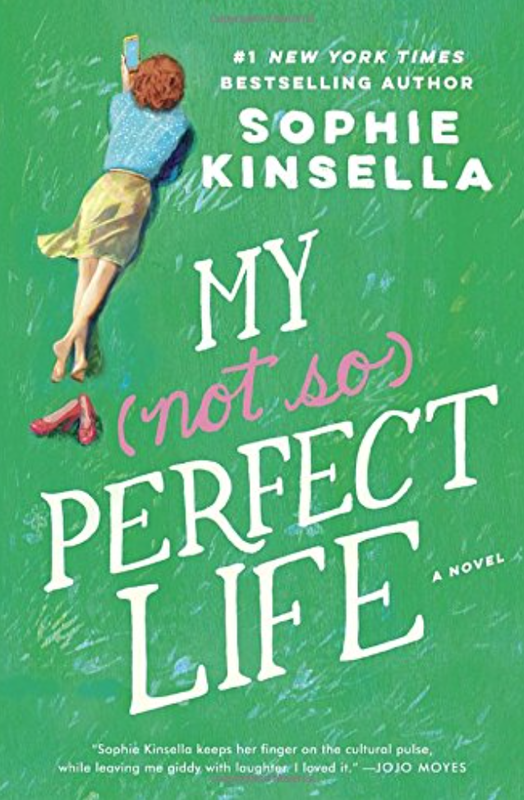 I love the comical style of Kinsella, and am excited to dig into her latest My (Not So) Perfect Life. 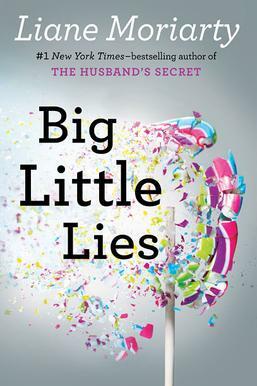 Because so many reviews I read said that Moriarty's Big Little Lies was WAY better than Truly Madly Guilty I decided to add this one to my must-read list. And when I asked my very avid reader mom what she would suggest she told me I'd like Danielle Steel's newest book, The Mistress. I told her I wanted something that was a page turner, that hooked me from the beginning and something I couldn't put down. Danielle Steel books remind me so much of my grandmother. My mom would always buy the newest ones for her as soon as they were published and I have many memories of her reading them on her porch and then passing them on to my mom when she finished. You always kind of know what you are going to get with her books and I'm a sucker for a good love story, so I'm excited to read this one. I'm hoping to get through both of these books next month, so we will see!